Fast shipping,Great quality bag. Nice size and no leaking! They will make a great addition to our snack cart and popcorn machine for the theater room! This user was entered into a sweepstakes after submitting their honest review. 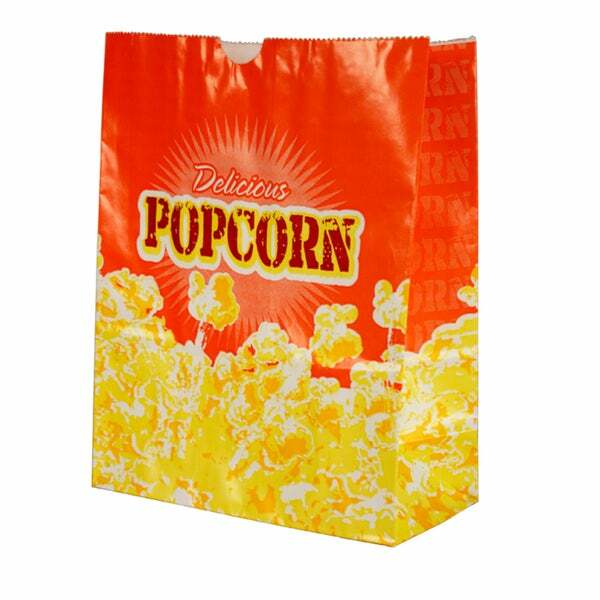 These Paragon popcorn bags will make you and your guests feel like you're at the movies. These bags feature coated flat bottoms to prevent leaks. Good coated bag that keeps buttered popcorn from leaking and making a mess. Good product! The size is large enough to share with others, or no have to refill for yourself for an entire movie. Fast shipping,Great quality bag. Nice size and no leaking! They will make a great addition to our snack cart and popcorn machine for the theater room! The quality of the bags are great. They were perfect for our occasion.